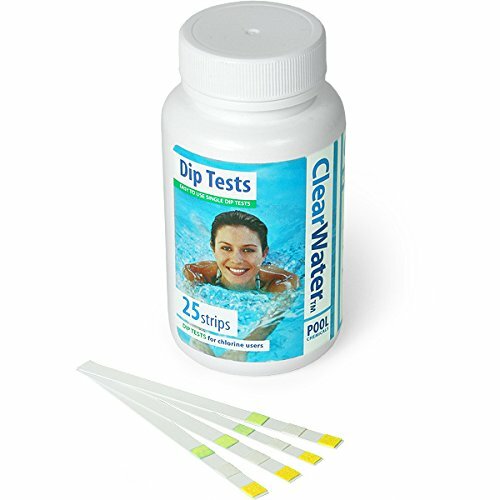 These dip strips test the chlorine, pH and alkaline levels of the water in your pool or Lay-Z spa, helping you to ensure the water is at the correct chemical levels. There are 25 dip strips in this pack. Simply did the strip in the water for about 10 seconds and then pull it out and hold it horizontal. The colour chart will then show change showing you the chemical levels of the water.